At the beginning of the design process we get together to talk about your design needs, your ideas, your budget. We discuss the scope of the work and the time line. At this stage we develop our design concept options. This includes review of existing architectural plans and conducting site measures if required. We source design ideas, yours and ours and develop preliminary options. Together we will discuss the various applications and find the best solution for you. From the preliminary design we develop the actual design details. We narrow down your interior and exterior finishes. We source flooring materials, wall and accent tiles, staircase components, cabinet styles and finish, plumbing options and paint colours. We source lighting and decorative finishes. And if you wish us to do so we will also source furniture pieces. If we cannot find just the right piece, we custom design it. We prepare floor plans and elevations. And, if necessary we prepare 3d concepts. 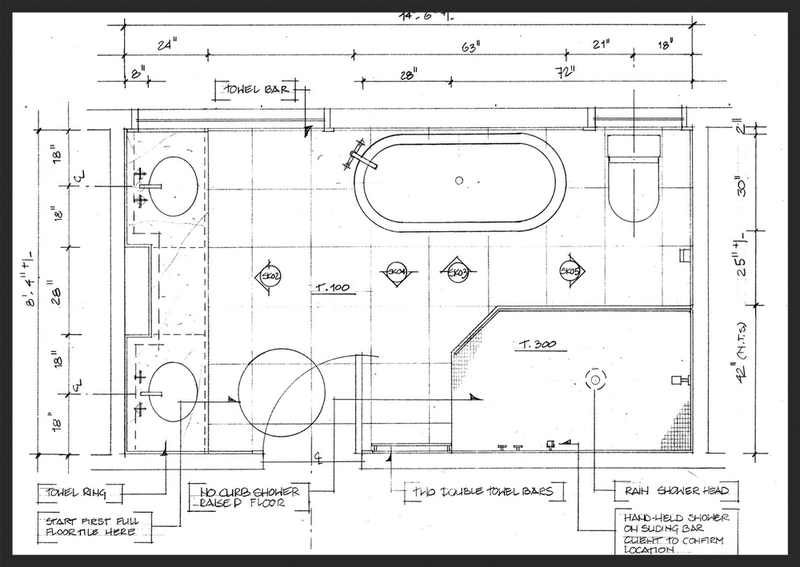 We also develop elevations and millwork drawings as required. All these details together will show the design concept, the design scheme. At this stage you will be able to envision your new space: all the details have come together to create beauty and functionality. Once the design has been approved, we provide you with our Construction Drawings and Specification Manual. These drawings and manuals provide the 'blueprint' for your new home. Your contractor can now bring the design concept to live. During the building/renovation process we keep the dialog with you and the contractor/trades going. We work directly with the trades to ensure the best quality work is delivered and that the approved design as reflected in the drawings and the manual is carried out to the smallest details. We act as your liaison to ensure smooth progression of work, staying on budget and finishing on time.